Powerful New Moon-Solar Eclipse - The Energy of Transformation - Wealth ~ Abundance ~ Joy NOW! Today October 23 brings us a very powerful combo of a New Moon-Solar Eclipse! Transformation is the theme of this powerful Scorpio New Moon-Solar Eclipse. New Moons are a time of reflection and planting 'seeds' (your intentions) for what you want to receive over the coming weeks. Eclipses are the energy of change. This powerful Scorpio New Moon will nudge us to drop any baggage that is holding us back from living our joy. When a solar eclipse occurs, the moon is casting a shadow in front of the Sun which is said to symbolize a meaning of overshadowing the past and opening the door to new transformational growth. The New Moon in Scorpio coupled with this reality shifting Solar Eclipse will allow us to see our patterns and to release those which do not serve us. 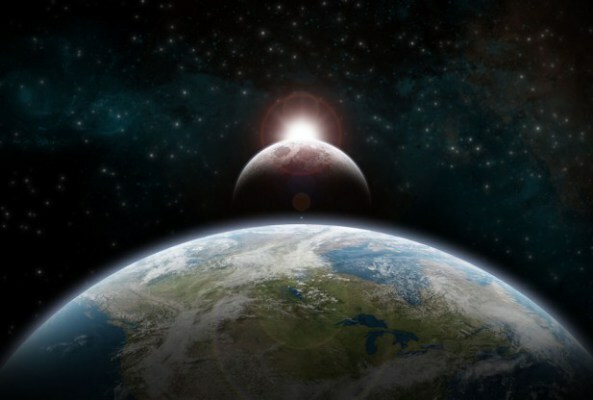 Relationships, relating, connection and oneness are emphasized by the energy of the New Moon- Solar Eclipse boosted by Venus also entering into Scorpio. So let's start celebrating the NEW now! Let's intend to experience shifts for the positive throughout the world as well as within our individual experiences. The powerful New Moon-Solar Eclipse energy is supporting the dissolution of the past energies and patterns that no longer serve us and opening the door for the new! The power of a Solar Eclipes New Moon lasts years, what we focus on expands powerfully! It is important that we stay AWAKE and AWARE and focus intentionally. As we stay aware each moment and focus on what brings us joy, feel appreciation, ease and gratitude we will cultivate a powerful vibrational energy that brings us delicious things. Source STRONGLY NUDGED me to choose the date of October 23 for my talk on Awakening Heart Network. I did not know it was a powerful New Moon-Solar Eclipse! This created a special opportunity for you! Come join me for 90 minutes of POWERFUL energy transmission Thursday (tonight) and learn about the magic and power of vibrational alignment. Ask your questions live of me and The Collective, experience a powerful guided meditation with The Collective and receive! Listen to REPLAY through Oct. 27th. REALLY SPECIAL opportunity! The October 29th Multidimensional Money Reiki Session will channel and transmit the VERY powerful energy of BOTH October Eclipses and the high frequencies coming through the Double Eclipse Portal. This is extremely powerful transformational energy! Transformation and Breakthroughs are the theme of this potent high frequency MMR session. Be in this session for huge energetic support in transforming all areas of your life including money. Registration closes in 5 days! at link learn about the 5 powerful activations you receive during this MMR! © Amy Flynn, All rights reserved. For reprint permission, please e mail amy(at)allabout-energy.com. Feel free to excerpt as long as you link to the post and give author credit.